What does G Suite identity management look like? What are the capabilities that G Suite gives you relative to user management, directory services, or single sign-on? Can G Suite directory act as my authentication source for the entire organization? These are just a few of the questions that we often hear related to the G Suite identity management functionality. The questions are good questions, but they are really aspirational rather than what G Suite can do. Although many IT admins would like to have their G Suite identities be their universal identities, unfortunately that’s not the way G Suite directory works – and more importantly that wasn’t Google’s intention with G Suite identity management. G Suite does have a directory. That directory is largely for internal G Suite applications. Google does give you the opportunity to leverage authentication with G Suite credentials for a few select web applications, but in truth, the G Suite directory is more of a contact and information database. IT admins would like to have their G Suite credentials serve as the core credentials that their users leverage for access to their systems, applications, and networks. Much like Microsoft Active Directory and Exchange integrated tightly together to create the concept of a domain and single sign-on, many IT organizations are searching for that same approach, but in the cloud. The ideal scenario is for IT admins to be able to centrally manage user credentials and access. For end users, they would need just one username and password to use when logging into their IT resources whether those are located on-prem or in the cloud. Unfortunately, that G Suite identity management vision isn’t provided by Google. The good news is that you can achieve that vision. By leveraging a tightly integrated cloud directory service, G Suite credentials can become the universal identities for end users and IT admins can have central control over access to a user’s IT resources. Called Directory-as-a-Service®, it effectively acts as an organization’s Active Directory or OpenLDAP server, except hosted in the cloud and cross platform. 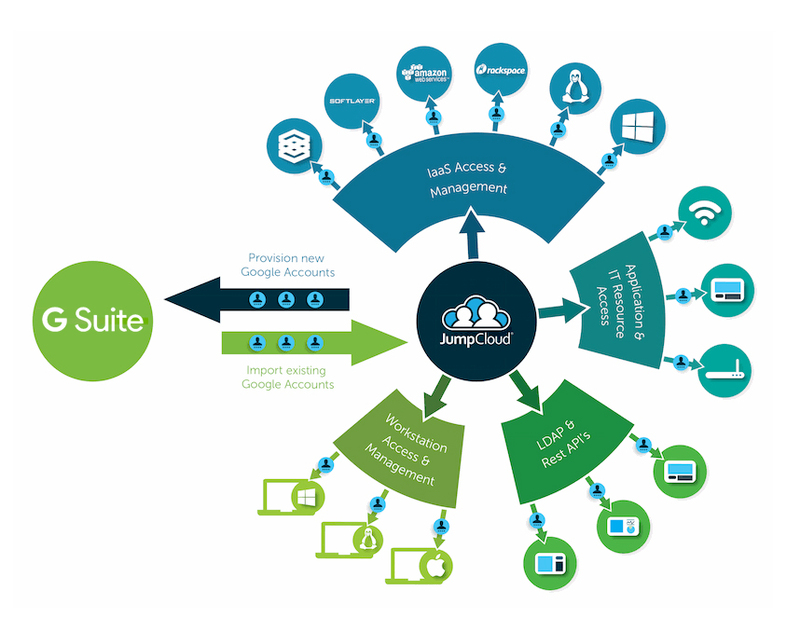 Users can leverage their G Suite credentials for access to their laptop or desktop, to AWS cloud servers, to web and on-prem applications, and to their WiFi network. The benefit for IT is to shift their directory service to a cloud identity management platform built for the modern, cloud era. 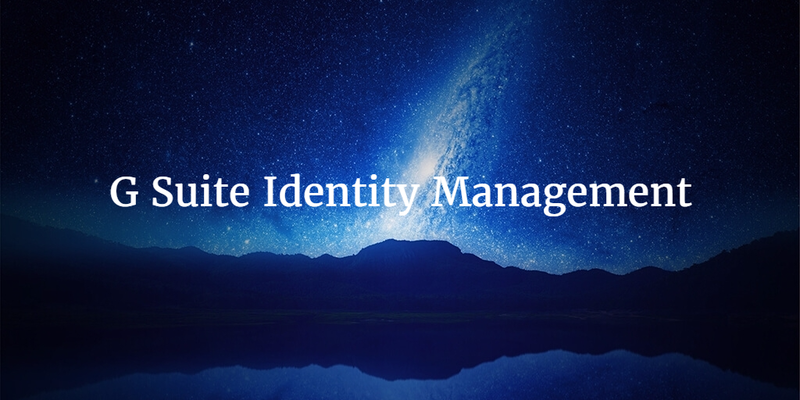 If you would like to learn more about how to do G Suite identity management, drop us a note. We’d be happy to walk you through how Directory-as-a-Service can play that role for your IT infrastructure. Or, sign-up for a free account and give it a try for yourself. Your first 10 users are free forever.